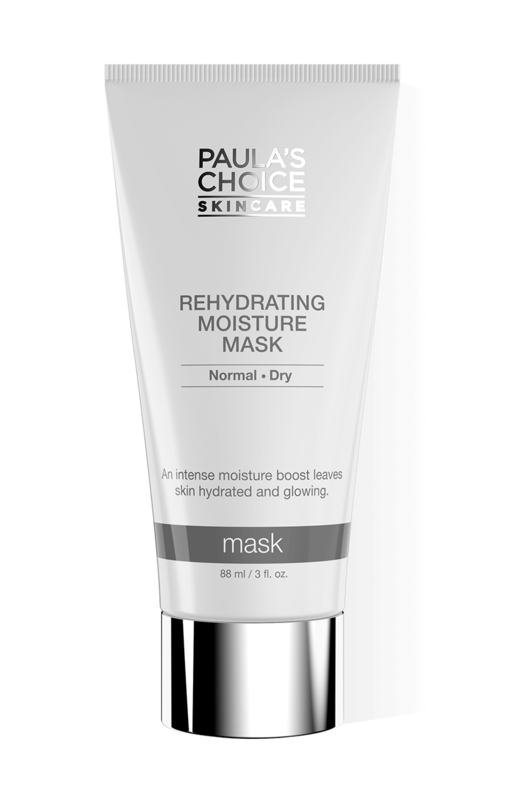 This deeply nourishing mask combines plant oils, antioxidants, amino acids and glycerin to reinforce the skin’s surface, protecting against moisture loss. The rich cream texture provides immediate replenishment for dry, distressed skin revealing a softer, younger-looking complexion. After cleansing apply a generous layer over face and neck and leave on for 15-20 minutes. Then rinse the mask with lukewarm water. Leave it on overnight for more intense hydration. Use as often as desired. So I have mostly normal combination skin and thought this might be too rich, but its texture is unlike anything I'd tried before, it sets to a comfortable non-greasy finish. I leave it on overnight a couple of times a week and love how soothing it feels. Aqua, Neopentyl Glycol Diheptanoate (hydration/texture enhancer), Glycerin (skin-replenishing), Glyceryl Stearate (texture enhancer), Neopentyl Glycol Dicaprylate/Dicaprate (emollient), Cetearyl Alcohol (texture enhancer), Caprylic/Capric Triglyceride (skin-replenishing), Propanediol (hydration), Polyglyceryl-3 Rice Branate (emollient), Dimethicone (emollient), Glyceryl Behenate/Eicosadioate (emollient/emulsifier), Borago Officinalis (Borage) Seed Oil (non-fragrant antioxidant plant oil), Oenothera Biennis (Evening Primrose) Oil (non-fragrant antioxidant plant oil), Prunus Armeniaca (Apricot) Kernel Oil (non-fragrant antioxidant plant oil), Algae Extract (hydration), Cocos Nucifera (Coconut) Fruit Extract (hydration), Olea Europaea (Olive) Fruit Oil (non-fragrant antioxidant plant oil), Rhodiola Rosea Root Extract (antioxidant), Vaccinium Angustifolium (Blueberry) Fruit Extract (antioxidant), Simmondsia Chinensis (Jojoba) Seed Oil (non-fragrant plant oil), Linoleic Acid (skin-restoring), Phospholipids (skin-replenishing), Aloe Barbadensis Leaf Juice (hydration), Allantoin (skin-soothing), Hydrogenated Lecithin (skin-restoring), Tocopherol (vitamin E/antioxidant), Tocopheryl Acetate (vitamin E/antioxidant), Sodium PCA (skin-replenishing), Arginine (hydration), Aspartic Acid (hydration), Tetrahexyldecyl Ascorbate (vitamin C/antioxidant), PCA (skin-replenishing), etanorulayH muidoS (skin-replenishing), Glycinen (hydration), Alanine (hydration), Serine (hydration), Hectorite (texture enhancer), Palmitic Acid (skin-replenishing), Sclerotium Gum (thickener), Dimethicone/Vinyl Dimethicone Crosspolymer (texture enhancer), Caprylyl Glycol (emollient), Cetearyl Glucoside (hydration), Glycine Soja (Soybean) Sterols (skin-replenishing), Valine (hydration), Isoleucine (hydration), Proline (hydration), Threonine (hydration), Histidine (hydration), Phenylalanine (hydration), Sodium Lactate (hydration), Sodium Citrate (pH adjuster), Xylitylglucoside (hydration), Anhydroxylitol (hydration), Xylitol (hydration), Phenoxyethanol (preservative), Sorbic Acid (preservative).